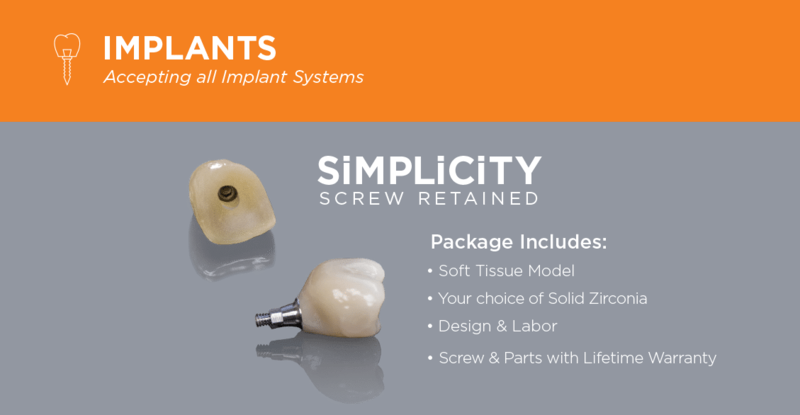 SiMPLiCiTY® is a complete package: crown, screw, analog, tissue, and expert guidance-all for one low price. Lifetime warranty on parts, FDA approved materials. Compatible with all major implant systems.